Urumqi Yifang Excellence International Trading Ltd.
Q: How long is your delivery time9 A: Generally it is 7 days if the goods are in stock. Q: How can I be sure the part will fit my machinery9 A: A great deal of this comes down to the info you give us when ordering. Q: Can clients customize the goods A: Yes,we can design and produce the goods according to customer&rsquo;s request. 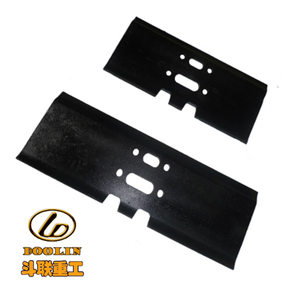 Because track pad with decorative pattern and can install rubber sheet again, so in the rain, snow, ice or uphill road can firmly hold the ground, will not slip. Kaito is more than capable of providing its customers domestically and foreign with replacement parts for a variety of different brands. Our clients spread all over China and exported to various countries and regions such as South Korea , Russia , USA , Spain , Malaysia , India and various others. Yantai Kosin Polyurethane Products Co., Ltd.
Hebei Zhaoli Rubber And Plastic Products Co., Ltd.
We exported to more than 20 countries and regions,for example,Russia,India,South Asia,Middle East,South America,Africa and so on. With over 10 years experience in the construction equipment spare parts business, we understand your need for urgent and efficient delivery of your spare parts and committed to providing you with prompt and quality service. 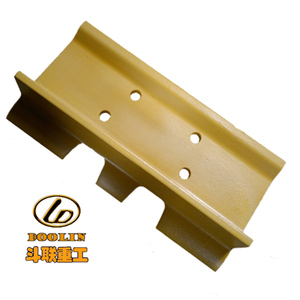 the adhesion between the rubber and the steel frame is very strong, the replacement is convenient and the service life is long, it is suitable for various excavator, pavers and bitumen transportation trucks. we have rich experience in both production carbide products from material to sintered to machining to finished products step by step. 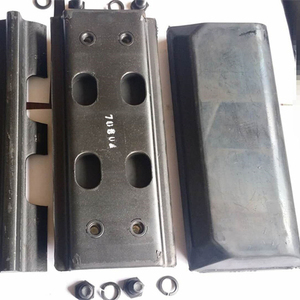 4.Q: Can you do our casting product of asphalt paver volvo rubber track pad 9 A: Please send your drawings, standard and requirements. 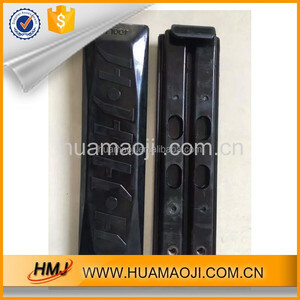 5.Q:How does your factory do regarding quality control9 A:Quality is priority. 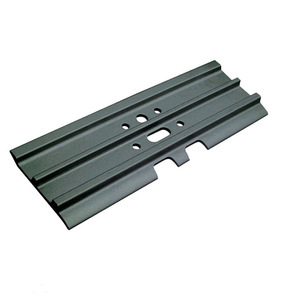 Alibaba.com offers 258 paver track pad products. About 43% of these are construction machinery parts, 6% are other rubber products, and 4% are pavers. 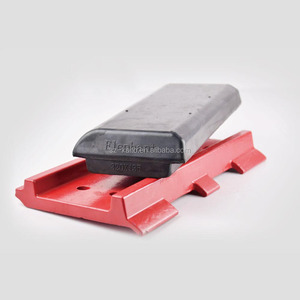 A wide variety of paver track pad options are available to you, such as free samples. 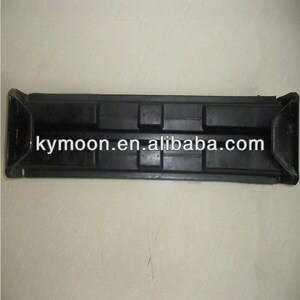 There are 174 paver track pad suppliers, mainly located in Asia. The top supplying countries are China (Mainland), India, and Singapore, which supply 96%, 2%, and 1% of paver track pad respectively. 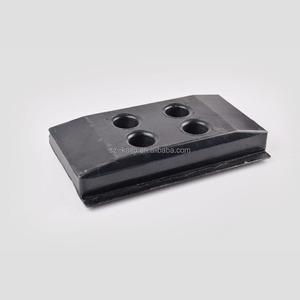 Paver track pad products are most popular in North America, Mid East, and Western Europe. You can ensure product safety by selecting from certified suppliers, including 40 with ISO9001, 14 with Other, and 6 with OHSAS18001 certification.